We are going through the worst server failure we've had in 10 years. Bear with us and please excuse the temporary problems associated with it - www.coppelltvrepair.com is down and most of the images at blog.coppelltvrepair.com are missing. Unfortunately email is also down..for the time being you can only reach us through phone at 972 245 1979. If your Insignia NS-L42Q-10A is completely dead upon connecting to power chances are it has bad power supply. Well in case of the NS-L42Q-10A and its sister NS-L42X-10A it is rather likely that it's the power board. I've seen few of those already and they all had similar problem - lack of the standby 5V power and everything else from there on. The problem was relatively easy to spot on the first of the boards and a little more obscure on the others. It was the SMPS driver IC IC901 that was burned. On some boards it has shorted and that did burn a few other components in the circuit. On some it was apparently burned open and although maybe a bit overheated the other components had survived the failure. Based on those experiences we've assembled a simple repair kit containing the components that are most likely and usually burned - IC901, ZD906 and R950. This blog is hopefully useful in confirming that this seems to be a common problem for this board and naming the components you need to pay attention to. Granted, over time it may turn out there are other problems as well. We'll update the blog if and when we know more. In the meantime, you can try and source the components by yourself or you can use our kit for what we consider a quite reasonable price. And if you don't feel like doing that by yourself...you can always contact us and send the board for repair service at Coppell TV Repair! 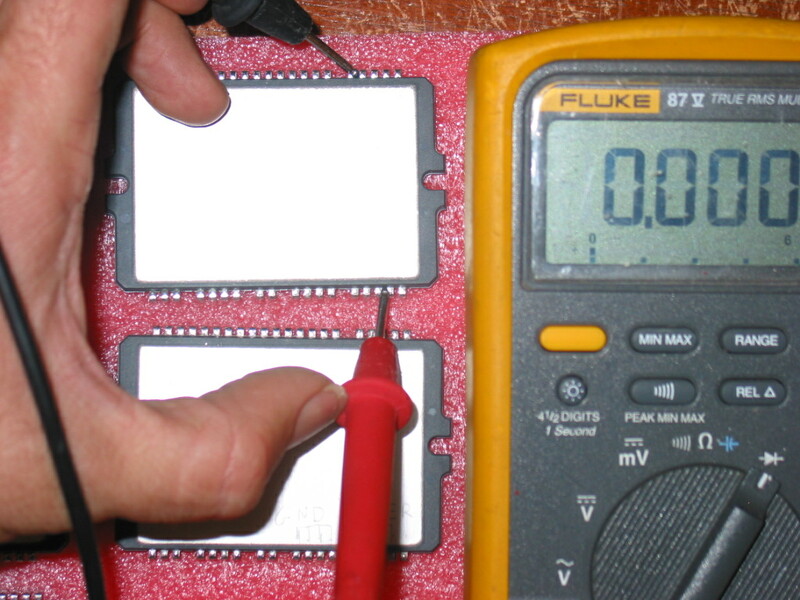 This article will tell you a few quick checks for the most common failures found in Sanyo's STK795-518 used in YSUS board LJ92-01200A and a 50'' plasma sustain board (let me know the number if you have it!). We at Coppell TV Repair do our best to protect ourselves and our customers from bad parts, but ultimately nobody would take care of the customer than the customer himself. Of course by publishing such information we inevitably also continue to indicate our competitors some of which we are proud to see as subscribed followers of our blog. For what it's worth, that's the nature of this business. Competitors, feel free to copy this and post it on your sites...you are going to do it anyway, you might as well do it with our blessing. The tests described below are applicable with the IC on and off board. 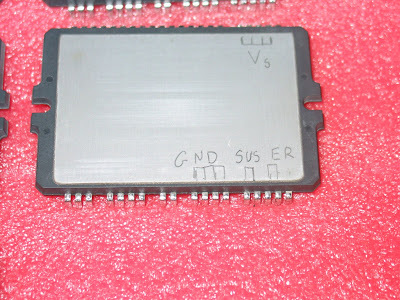 Of course we strongly recommend that you apply them before you solder any IC on the board - you'll save time and you'll also increase the odds of being able to return the IC back to the vendor with least worries. Those tests are not complete in a sense that they do not guarantee that the IC will work properly. But they clearly indicate if it is bad and while it's not guaranteed, we find that 99.9% of the time when an IC passes them it works good on a board. 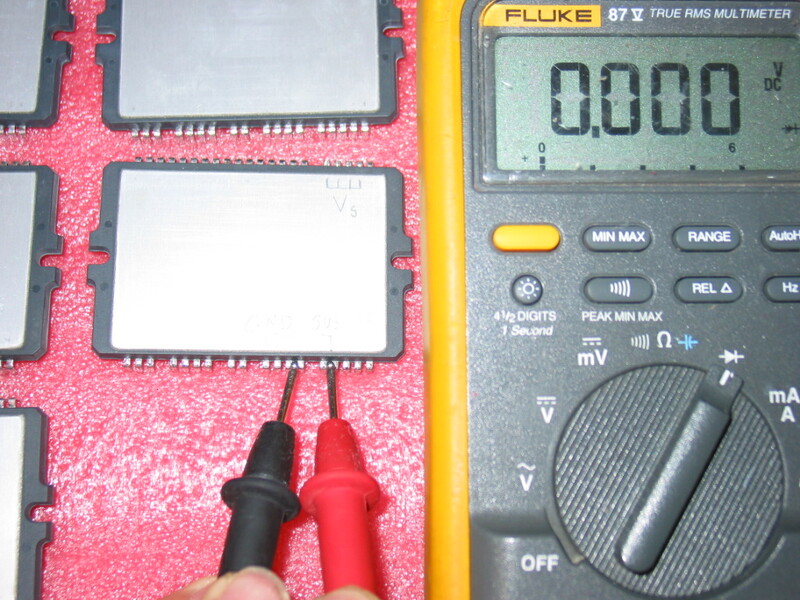 It all boils down to detecting continuity (shorts) or low resistance (ohms) between certain pairs of pins on the module.. If you find one the STK795-518 is certainly bad. The tests can be done with the IPM on or off the board. As you can see there are 4 points of interest - GND (Ground), Vs (supply power), SUS and ER, which are the two outputs for the sustain and energy recovery accordingly. 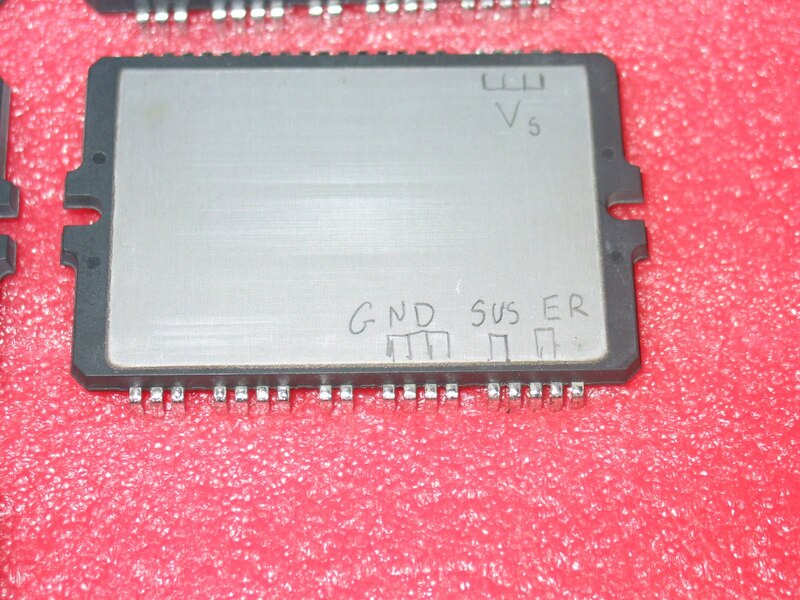 Those two are shorted on the board, but on an actual IC are NOT connected to each other. THERE MUST BE NO CONTINUITY (SHORT) BETWEEN ANY COMBINATION OF THOSE! IF YOU FIND A SHORT THEN YOUR STK795-518 IS DEFECTIVE. This is actually 100% correct for all other plasma IPM modules. From the mailbox - no edits and no refunds! If that blog was more advanced I'd have that as a thread and allow others to chime in. I'll just post some of the requests and correspondences we have (if any), without any changes. Some will be funny, some will be angry, some may even be rude. CTVR: Whatever he or she wants we decided wouldn't be able to provide it.